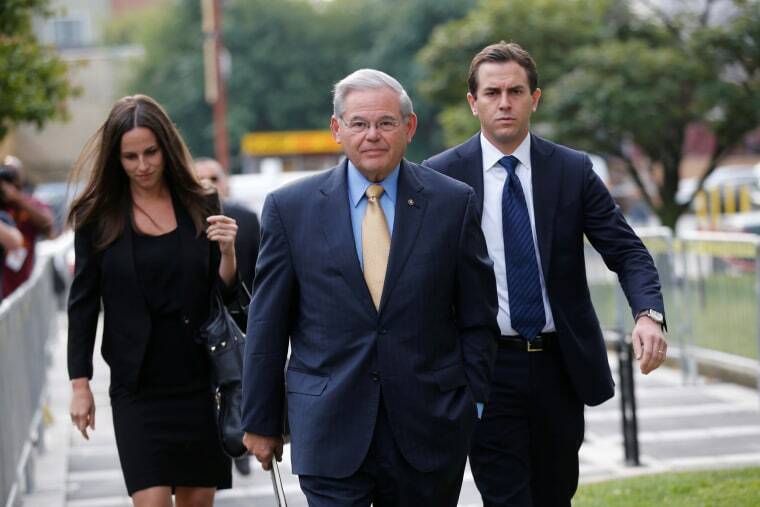 NEWARK, N.J. — Prosecutors in the bribery trial of U.S. Sen. Bob Menendez are seeking to show jurors the New Jersey Democrat tried to hide free flights and other gifts he received from a wealthy donor. On Wednesday, they showed jurors a clip of a CNN interview Menendez gave in early 2013 and a news release put out by Menendez's office. In both, Menendez said he took only a few flights on the plane of Florida eye doctor Salomon Melgen. Prosecutors say he took many more. Prosecutors also showed Menendez's financial disclosure form, which doesn't mention the free flights or a free Paris hotel stay. Menendez is charged with accepting favors from Melgen in exchange for his political influence. Melgen also is on trial. The two men maintain there was no bribery arrangement.